Spanish bar culture is an integral part of the lifestyle here in Malaga. 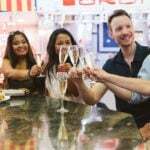 While we love some of the trendy new gastrobars that are springing up here and there, the best way to truly experience a bar like a local is to find one that’s been around for ages. Locals have loved these bars for generations, and their local renown is well deserved. These seven historic bars in Malaga have so many stories to tell—stop by one and see for yourself! As the oldest wine bar in the city, Antigua Casa de Guardia is also one of the most beloved historic bars in Malaga. Don’t expect anything fancy here, but the no-frills atmosphere is part of the charm. There are no tables or chairs—simply an assortment of large wooden barrels and the bar itself. If you don’t mind being on your feet, this is a fabulous place to enjoy Malaga’s (mostly) sweet wine like a local. Join us for an apertif at Antigua Casa de Guardia on our Insider’s Malaga Tapas Tour! As the first stop of the evening, you’ll enjoy their famous local wine paired with a delicious tapa. It’s just the beginning of a whirlwind foodie adventure around the city at the places locals know and love best! 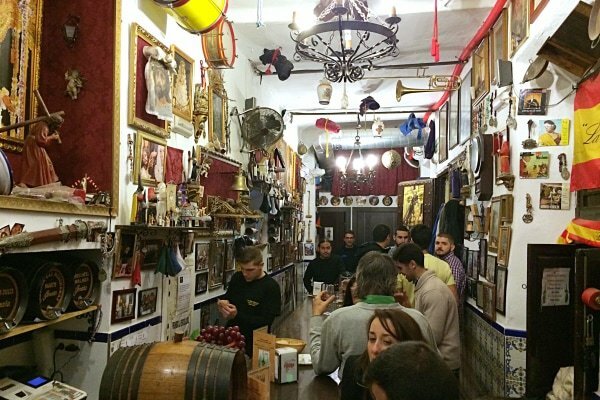 A list of the best historic bars in Malaga would be incomplete without El Pimpi! This iconic establishment just across from the Roman Theater is best recognized by the large black barrels of wine on the terrace. 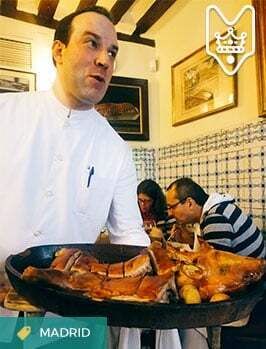 Beloved by tourists and locals alike, many Spanish celebrities have enjoyed meals here, including born-and-bred malagueño Antonio Banderas! The outdoor seating area is lovely, but for a more intimate (and dare we say romantic?) experience, head to the beautifully decorated interior. 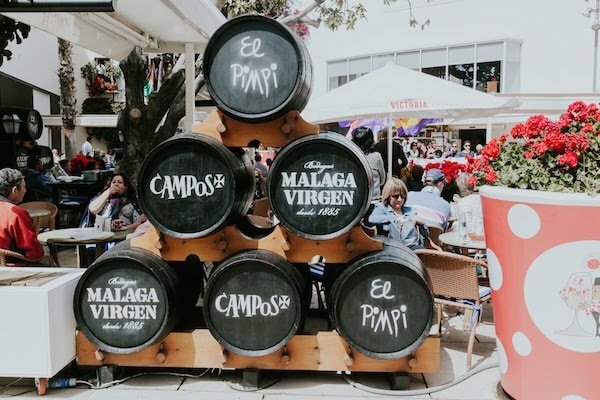 Barrels upon barrels of sweet Malaga wine at El Pimpi! This bar is about as traditional as it gets! Cortijo de Pepe, despite having only been open since 1971, has earned its place as one of the best historic bars in Malaga. The dark wood, traditional decor makes it feel like a turn-of-the-century bar, but the lively local atmosphere makes it anything but stuffy and old-fashioned. Remember that you can only get tapas in the bar part of the restaurant down below, so only grab a table on the upper level if you want to enjoy a sit-down meal. 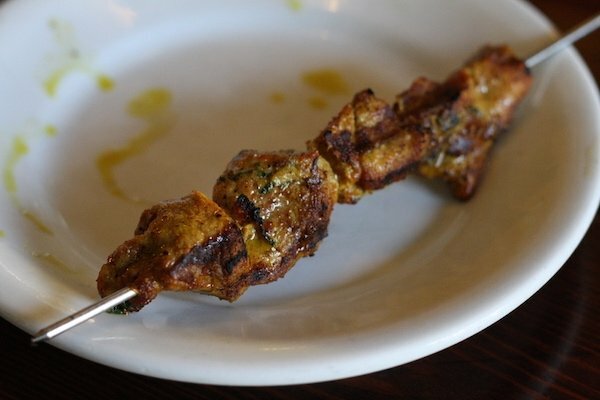 Cortijo de Pepe makes amazing pinchos morunos! 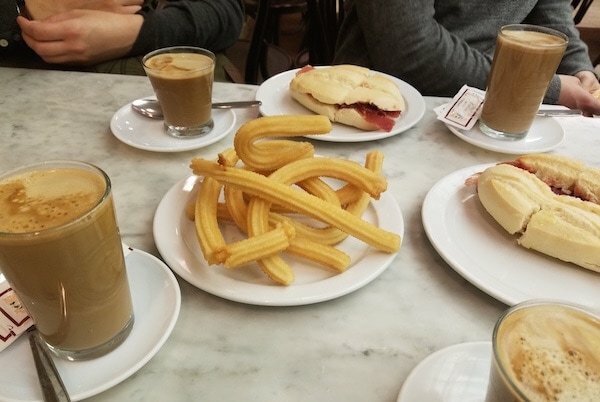 Did you know there are 10 different ways to order coffee in Malaga, and the unique local terminology originated at Cafe Central? 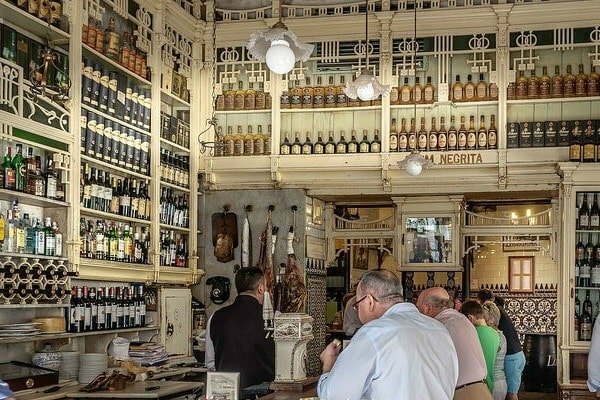 Whether you want a “cloud,” a “shadow,” a “half-and-half” or anything in between, the birthplace of these unique terms is one of the best historic bars in Malaga. This is the perfect place to start your day with a traditional breakfast before heading out to see the sights. The most important meal of the day—made even better at Cafe Central! Can’t make it to Malaga for Holy Week? No worries! At Las Mercahanas, they celebrate the iconic week leading up to Easter all year long. Tucked away on a side street where few tourists wander, the clientele here is overwhelmingly local. As one of the most unique historic bars in Malaga, they show videos of Holy Week processions on a constant loop, which you can enjoy from within the bar decorated with other Spanish Easter memorabilia. We love the eclectic vibe and Holy Week decor at Las Merchanas! Open since the days of the tumultuous Spanish Civil War, Bar Orellana has remained a local favorite for 80 years. 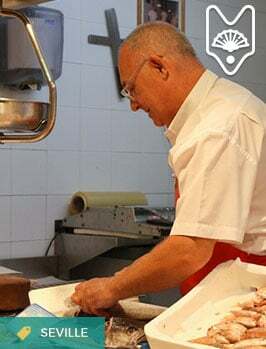 This is one of the best places to experience traditional Andalusian cuisine in Malaga at its finest. Extremely popular among locals, you’ll be hard-pressed to find any tourists as you make your way to the bar. In addition to exquisite food, they also serve high quality drinks, including traditional Malaga wines. You might have to squint to find Bodeguita El Gallo tucked away in the backstreets of Malaga’s historic center. However, once you manage to find this tiny, charming bar, you’re in for a real treat. What it lacks in space, it makes up for in a fun, vibrant ambiance and delicious traditional dishes. This is without a doubt one of the best historic bars in Malaga if you want to truly immerse yourself in the local culture and feel more malagueño from the moment you walk through the door. 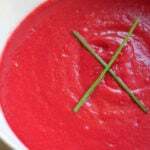 Join us for breakfast and lunch like a local on our Best of Malaga: Foodie Feast & Cultural Walking Tour! 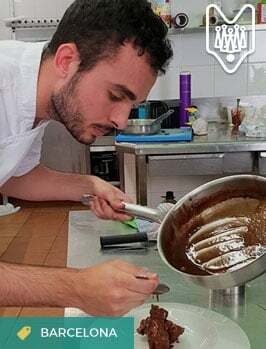 Learn how to eat like a Malaga native as you devour the city bite by bite. From family-run tapas bars to vibrant local markets, you’ll truly experience a day in the life of a local. We hope you’re hungry!